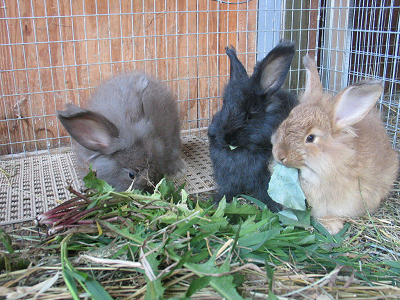 Witamy Farm is currently focused on German Angora, Silver Fox, and Californian rabbits. We breed year-round so continually have stock available for purchase. We have both pure bred Germans and German crosses. The pure-bred are all red-eyed whites. The crosses have a high percentage in German with lower percentage of English and Satin. 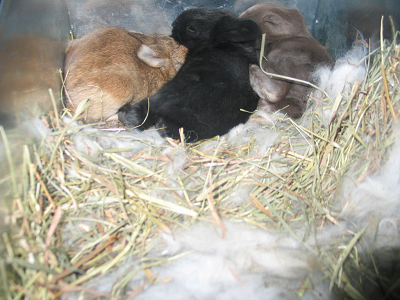 They come in the following colors: white, fawn, chocolate, lilac, black, and red agouti. 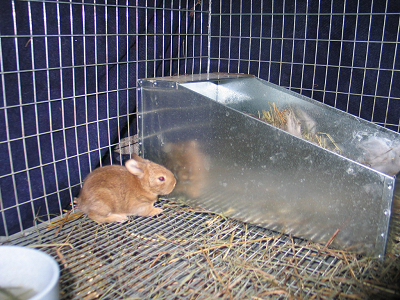 Prime fiber production averages about 6.5 oz per rabbit per shearing (ranging from 4 oz to 9 oz). We breed year-round so have stock available for purchase. The Silver Fox rabbit was the third breed to developed in the United States, but now is one of the rarest rabbit breeds in American and considered endangered by the American Livestock Breeds Conservancy. 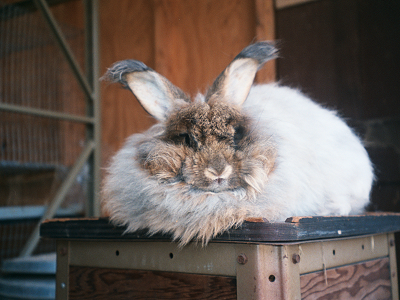 The silver fox rabbit is a large, docile breed. Senior bucks & does should weigh 9 to 12 lbs and they are very easy to handle. The rabbit is named for its dense fur which has white ticking and closely resembles the pelt of an actual silver fox. 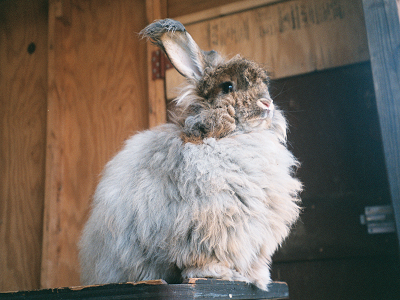 In fall 2013, Witamy Farm purchased a pedigreed breeding pair of silver fox rabbits. They have successfully had their first kit of seven. We are looking forward to expanding our rabbitry to include more Silver Fox. Californians are a cross of Himalayan, Standard Chinchilla and New Zealand white rabbits. They are currently the second most popular meat producing breed in the world. In fall 2013, Witamy Farm purchased an unpedigreed breeding pair of Californian/New Zealand crosses. Breeding will start in this spring.